One of the most important events of the missionary work of the Episcopal Church in the United States is the annual meeting in South Dakota known as the Niobrara Convocation. The Dakota Indians managed in their own fashion to fit the values of their old traditions and rituals into Christianity. The Niobrara Convocation served the same social function as the old Sun Dance, when friends and relatives came together in the summer from all directions. The convocation custom of the Indians from the different reservations camping together was not unlike the traditional spots held in the camp circle by the various tribes. The first Convocation was held on October 5-6, 1870, at Santee, Nebraska. Bishop Clarkson of Nebraska and Dakota issued a call to the clergy of the Dakota field for a meeting to be held for the purpose of organizing an Indian Missionary Convocation. Each chapel was to be represented by two lay delegates. The Niobrara Convocation grew to be a loved and much looked forward to annual event in South Dakota. Non-Indian Episcopalians and persons from other denominations, as well as government officials and even President Calvin Coolidge visited. The gathering was frequently honored by visitations of numerous Presiding Bishops. Only three times in its history did the Niobrara Convocation not convene: in 1876, because of Bishop Hare’s poor health; in 1901, because of the danger of small-pox contagion; and 1945, because of conditions during World War II when gas and tire rationing and enforced slower speed limits made travel difficult. There are numerous books and websites that detail the full history of Christianity, the Anglican Communion, and the Episcopal Church. Below is a brief description of the Anglican Communion and the Episcopal Church as a member of that Communion. "The Anglican Communion is the gathering of Anglican and Episcopal churches from around the world. Today, the Anglican Communion comprises more than 80 million members in 44 regional and national member churches in more than 160 countries. The Episcopal church is part of the Anglican Communion, and is comprised of 109 dioceses in 16 nations. At the head of the Anglican Communion is the Archbishop of Canterbury, Justin Welby. 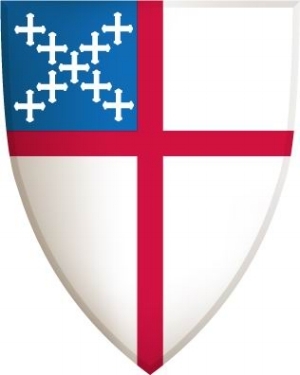 The Episcopal church, established shortly after the American Revolution, has its roots in the Anglican Church. The Anglican Church, known as the Church of England, had a strong following in colonial America. But when the colonies won their independence, the majority of America’s Anglican clergy refused to swear allegiance to the British monarch as was required. As a result, the Episcopal Church was formed. The vibrancy of the Anglican Communion reflects the lives of its congregants and their commitment to God’s mission in the world." "As Episcopalians, we are followers of Jesus Christ, our Lord, and we believe in the Father, Son, and Holy Spirit. We strive to love our neighbors as ourselves and respect the dignity of every person. The Episcopal Church is part of the worldwide Anglican Communion, and traces its heritage to the beginnings of Christianity. Our liturgy retains ancient structure and traditions and is celebrated in many languages. Both men and women, including those who are married, are eligible for ordination as deacons, priests and bishops. We believe in amendment of life, the forgiveness of sin, and life everlasting. Lay people exercise a vital role in the governance and ministry of our church. Holy Communion may be received by all baptized Christians, not only members of the Episcopal Church. We uphold the Bible and worship with the Book of Common Prayer. We affirm that committed relationships are lifelong and monogamous. Episcopalians also recognize that there is grace after divorce and do not deny the sacraments to those who have been divorced. We affirm that issues such as birth control are matters of personal informed conscience. We celebrate our unity in Christ while honoring our differences, always putting the work of love before uniformity of opinion. All are welcome to find a spiritual home in the Episcopal Church."